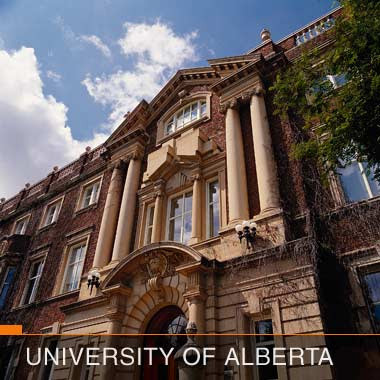 The University of Alberta (U of A) is a public research university located in Edmonton, Alberta, Canada. Founded in 1908 by Alexander Cameron Rutherford, the first premier of Alberta and Henry Marshall Tory, its first president, it is widely recognized as one of the top universities in Canada. The university's current enrolment is over 36,000, placing it among the five largest universities in the country. The main campus covers 50 city blocks with over 90 buildings directly across the North Saskatchewan River from downtown Edmonton. The continued economic boom in Alberta, driven mainly by high energy prices, has resulted in multi-billion dollar government fiscal surpluses. This has led to the introduction of Bill 1 by the provincial government, which promises to create a $4.5 billion endowment for Alberta's post-secondary institutions. Given the rosy economic conditions in Alberta, it has been suggested that as the University of Alberta enters its second century it should aim to be one of the top twenty universities in the world by the year 2020. The U of A has approximately 36,000 students, including 6,000 graduate students and 2,000 international students representing 110 countries. The university has 3,353 academic staff along with about 6,000 support and trust staff.University professors have won more 3M Teaching Fellowships (Canada's top award for undergraduate teaching excellence) than any other Canadian university, 28 awards since 1986. The university offers post-secondary education in about 200 undergraduate and 170 graduate programs. Tuition and fees for both fall and winter semesters are slightly more than $5,000 for a typical undergraduate student, although they vary widely by program. The University of Alberta switched from a 9-point grading scale to the more common 4-point grading scale in September 2003. The University of Alberta, a single, public provincial university, was chartered in 1906 in Edmonton, Alberta with a new University Act. University of Alberta was modelled on the American state university, with an emphasis on extension work and applied research. University of Alberta is a non-denominational university which offers undergraduate and graduate programs.With the hiring of Henry Marshall Tory in 1907, the University of Alberta started operation in 1908 using temporary facilities, while the first building on campus was under construction. In a letter from Henry Marshall Tory to Alexander Cameron Rutherford in early 1906, while he is in the process of setting up McGill University College in Vancouver, Tory writes "If you take any steps in the direction of a working University and wish to avoid the mistakes of the past, mistakes which have fearfully handicapped other institutions, you should start on a teaching basis." The Act creating the university had been passed two years earlier in the first session of the new Legislative Assembly, with Premier Alexander C. Rutherford as its sponsor. The governance was modelled on the provincial University of Toronto Act of 1906 which established a bicameral system of university government consisting of a senate (faculty), responsible for academic policy, and a board of governors (citizens) exercising exclusive control over financial policy and having formal authority in all other matters. The president, appointed by the board, was to provide a link between the 2 bodies and to perform institutional leadership. It awarded its first degrees in 1912. In the early part of this century, professional education expanded beyond the traditional fields of theology, law and medicine. Graduate training based on the German-inspired American model of specialized course work and the completion of a research thesis was introduced. The policy of university education initiated in the 1960s responded to population pressure and the belief that higher education was a key to social justice and economic productivity for individuals and for society. 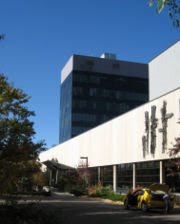 The single-university policy in the West was changed as existing colleges of the provincial universities gained autonomy as universities - the University of Calgary was established in 1966. The University of Alberta first offered programs of study at Calgary in 1945 and continued until 1966 when the University of Calgary was established as an autonomous institution. In 1913, a medical school established at the University of Alberta in Edmonton was opened. By 1920, the university had six faculties (Arts and Sciences, Applied Science, Agriculture, Medicine, Dentistry, and Law) and two schools (Pharmacy and Accountancy). It awarded a range of degrees: Bachelor of Arts (BA), Bachelor of Science (BSc), Bachelor of Science in Agriculture (BSA), Bachelor of Laws (LLB), Bachelor of Pharmacy (PhmB), Bachelor of Divinity (BD), Master of Arts (MA), Master of Science (MSc), and Doctor of Laws (LLD). There were 851 male students and 251 female students, and 171 academic staff, including 14 women. Faculty of Arts is home to the spectrum of Arts programs and departments, from Anthropology to Women's Studies. Augustana Faculty is located in a satellite campus in Camrose, Alberta. It comprises the departments of Fine Arts, Humanities, Physical Education, Science, and Social Sciences. School of Business offers MBA, BCom, PhD, ExecEd, and Exec MBA degrees. Faculty of Education offers undergraduate and graduate degrees in Elementary, Secondary Education, or combined. Faculty of Engineering offers undergraduate degrees in four engineering departments. Faculty of Extension is focusing on the life-long Continuing Education and Professional Development. 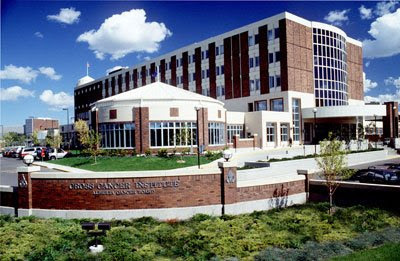 Faculty of Graduate Studies and Research maintains graduate studies.